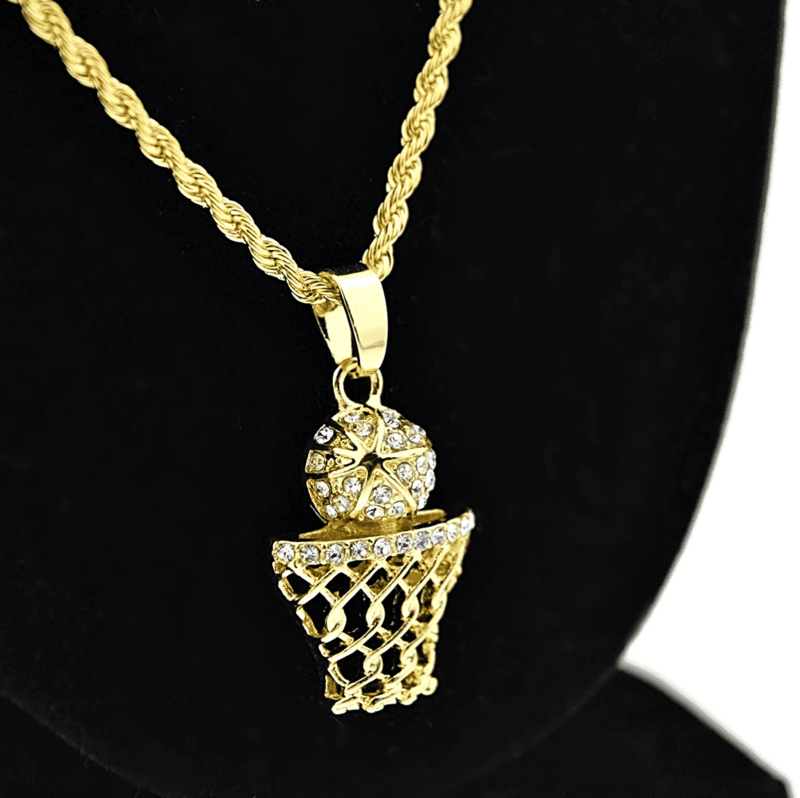 Check out this dazzling micro basketball pendant on a twisted rope chain necklace. 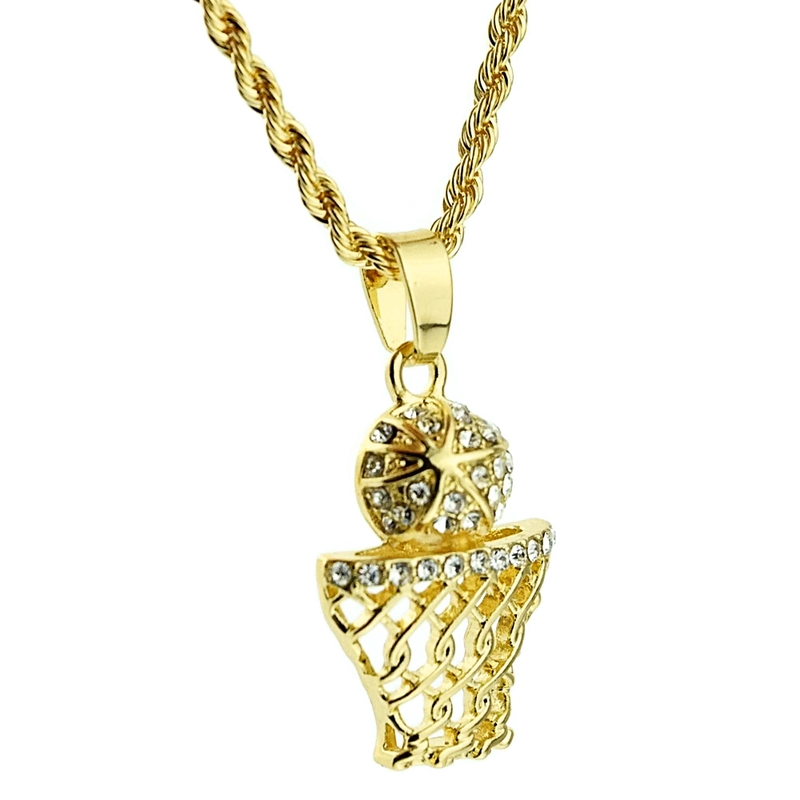 Brilliant gold tone over high quality base metal, 15 grams weight, basket and ball are iced-out with dazzling stones that shine bright. Pendant measures 22mm tall x 28 mm wide and hangs on a 24" long x 2.5mm wide rope chain, stylish lobster claw clasp closure. 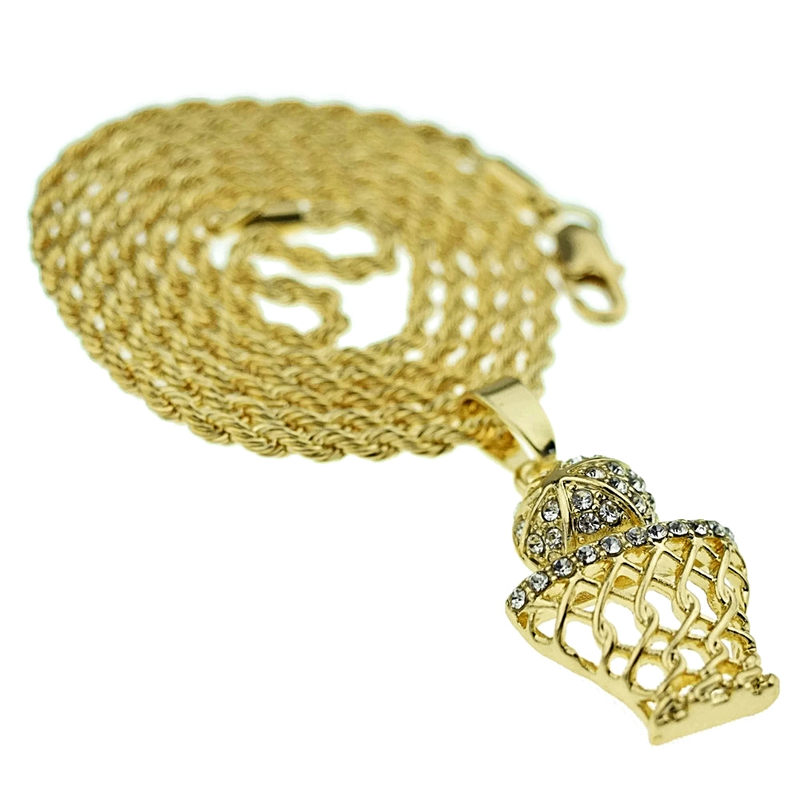 Order now and get yo' baller bling on!